Oral Flea Treatment is the easiest to administer out of flea treatment for your pets, and also the most effective. Oral flea treatment is 99.9% effective compared to the 88.4% effectiveness for Topical flea treatment. This makes it 11.5% more effective and gives a whole-body protection. Not only is it fast working – in some cases as fast as 15 minutes – it’s also out of your pets system in up to 3 days. This means you can use them in conjunction with other flea and worm treatments. It’s important to read what you’re getting. What can seem like a bargain for £1 in the supermarket can actually be useless. This is because different treatments target different areas. The main advantage of oral treatments is that there’s no sticky mess and the doses are better. 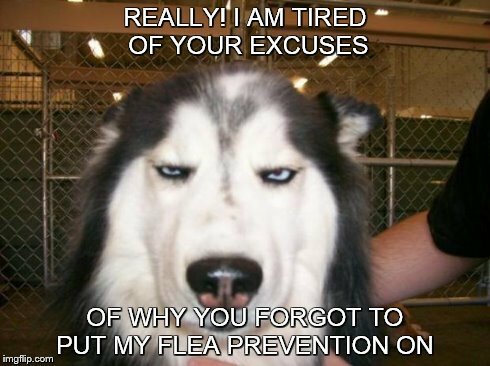 This means that you won’t leave any dose behind like you do with topical flea treatment. 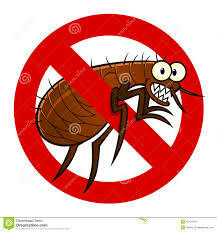 However, oral treatment doesn’t include flea eggs and larvae which will fall off in your house and garden, so your house will need to be treated too to hopefully completely stop any further infestations. The key thing to remember when giving oral treatment is that the tablet shouldn’t be crushed. When the tablet’s crushed it becomes less likely to work or not even work at all, making the dose pointless. Try putting the tablet in their favourite food to get them to eat it in one. Equally, try giving hairball paste to your cat frequently. 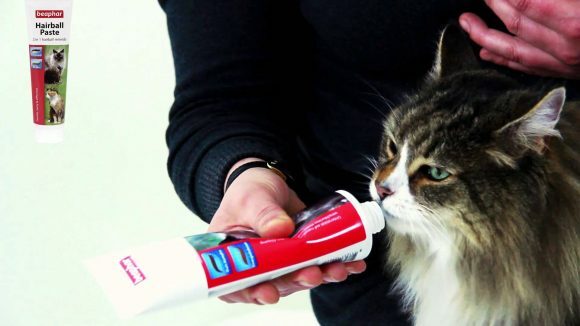 This way you can put the paste on the tablet to get your cat to eat it up with no problem. Once the pill is consumed the chemicals enter the pets blood stream – which is non-toxic to your pet – and the blood becomes poisonous to fleas. 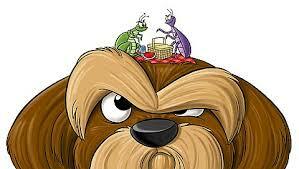 This means that when fleas land on your pet and drink their blood the fleas will die shortly after. Spot-on flea treatment is normally applied to the back of your pets neck, this way the ingredients from the flea treatment can be absorbed into the skin without easy access for you pet. These usually last about a month, but can be different depending on the spot-on purchased. Spot-on treatment costs less and lasts longer so can be great if you’re on a budget. It’ll also mean you won’t have to get a tablet down your pet’s throat, which to some owners will be a great relief. Spot on treatment can also be applied any time of the month and only needs to be applied once every 4 weeks, compared to the every 2 weeks for tablets and is also quick to work and easy to apply. Although it sounds like a winning product, spot on treatment takes a couple days to completely absorb so can be dangerous to children or other pets in the process and can cause skin sensitivities. 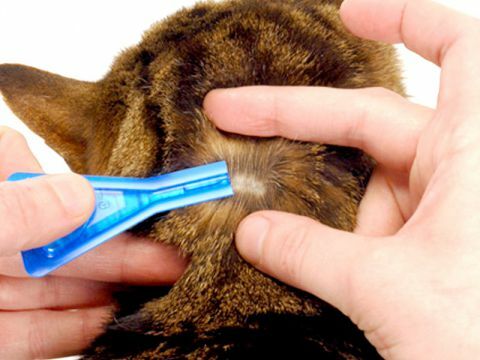 Flea spot on treatment is almost impossible to be completely efficient due to a couple of factors. The first hurdle is that the pipette is the perfect dose for an animal of that size, however you’ll never be able to completely get it all out making it inefficient. It’s almost like trying to get all the toothpaste out of a tube – virtually impossible. 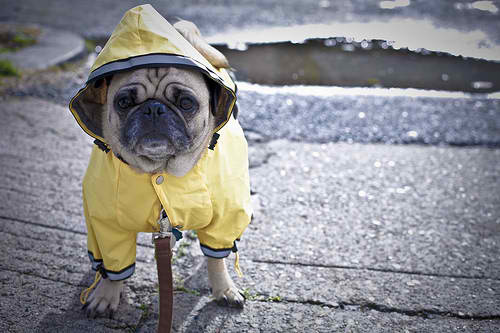 Also, if your pet gets wet within 48 hours of application the treatment can completely wash off. Treatment can also wash off partially if you wash your pet halfway through the course – even if it’s just a splash in the sea. For the treatment to work the most efficiently, be sure to follow the instructions as close as possible as instructions tend to vary on individual products and keep your pet dry for as long as possible. Depending on where you buy your treatment will depend on how strong it’ll be and how quickly it’ll work, with vet prescriptions being the strongest and supermarkets being the weakest. 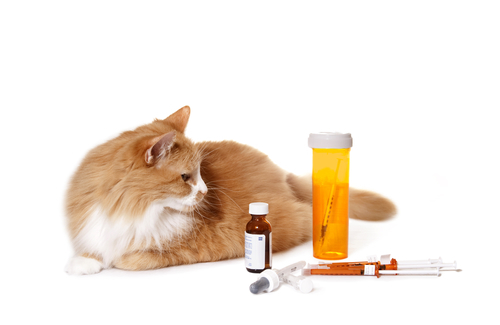 It’s best to buy treatments on your local pet specialist’s advice as they’ll be able to sell you treatment that’ll best suit the type of animal you own, including the weight, and also recommend how many doses are needed per treatment. Fleas are flightless insects that live by consuming the blood of their hosts. 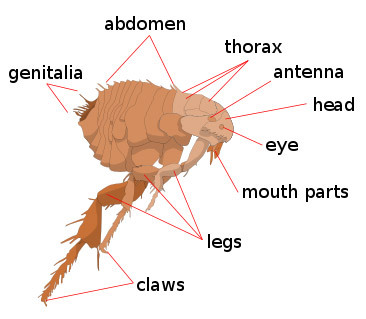 Female fleas can consume about 15 times their body weight in blood every day. With an 8 inch vertical leap and a 3mm long body, fleas are both hard to catch and see and therefore can quickly become a problem. Besides causing severe discomfort including scratching, chewing, biting and restlessness, fleas can cause a number of serious problems such as Anemia and Tapeworm infections. 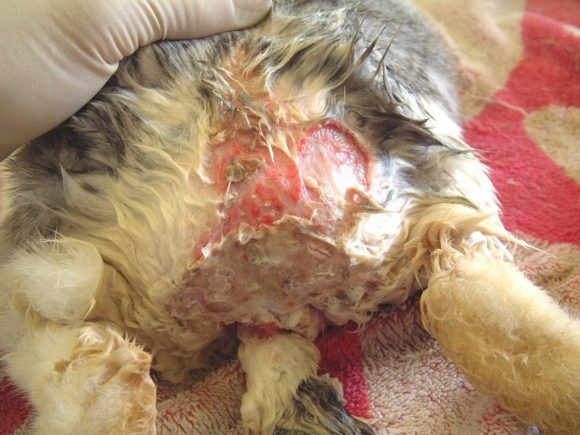 As well as this, a common condition among cats and dogs is Flea Allergy Dermatitis (FAD), so it’s best to avoid fleas. 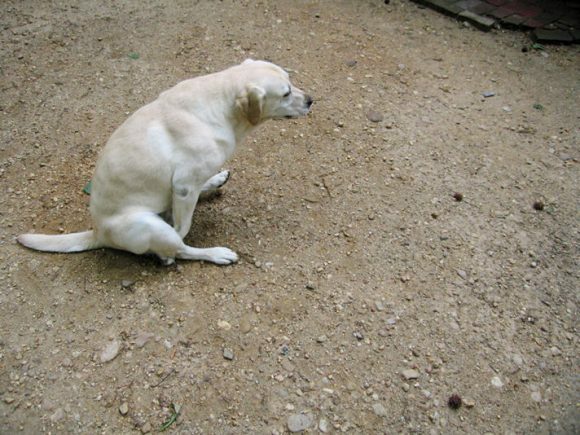 When we are choosing flea and worm treatments for our pets there are lots of things to consider. How effective they are, what other parasites they treat, how long they last and how much they cost! 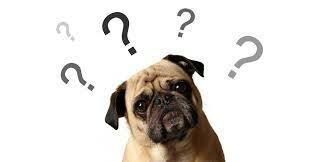 But another important consideration that is often overlooked is: “How easy is this treatment going to be to give and will the lifestyle of my pet effect how well it works?” This falls under the umbrella of compliance and is arguably the most important factor when making a choice. It doesn’t matter how good a treatment is if it can’t be applied effectively. Many flea and worm tablet treatments now come in tasty treat form and so are less difficult to give. In many cases this makes them a much more convenient option for many clients but they still do not suit all pets. 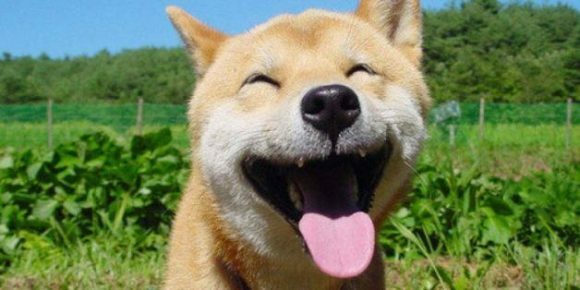 A minority of pets will vomit on tablet medications and if your pet has a history of this then trying a spot-on instead is well worthwhile. Similarly some pets have sensitive stomachs or are very suspicious of tablet shaped food items! Spot-on treatments remain very popular. They are tolerated by most pets and are convenient to apply but like tablets will not be suitable in every case. 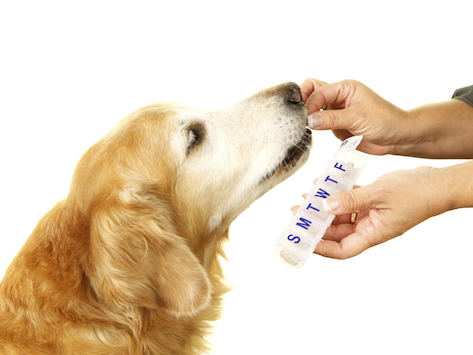 Some pets will have local skin reactions to topical treatments making tablets a better option. Frequent swimming and washing can also make some spot-on treatments less effective. These factors mean that a tablet is not a superior choice to a spot on in every case or vice versa but rather a decision is made depending on individual circumstances and the patient’s needs. Pupate-Given an adequate supply of food, larvae will pupate and weave silken cocoons within 1–2 weeks after 3 larval stages. After another week or two, the adult fleas are fully developed and ready to emerge. They may remain resting during this period until they receive a signal that a host is near – vibrations (including sound), heat, and carbon dioxideare all stimuli indicating the probable presence of a host. Fleas are known to overwinter in the larval or pupal stages. 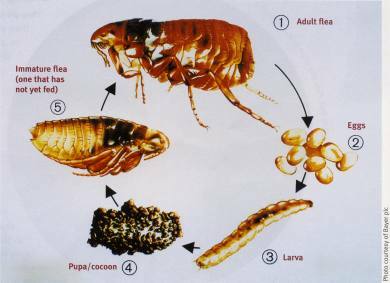 Adult flea-Given an adequate supply of food, larvae will pupate and weave silken cocoons within 1–2 weeks after 3 larval stages. After another week or two, the adult fleas are fully developed and ready to emerge. They may remain resting during this period until they receive a signal that a host is near – vibrations (including sound), heat, and carbon dioxideare all stimuli indicating the probable presence of a host. Fleas are known to overwinter in the larval or pupal stages. found on either side of their nose and upper facial lip, as well as above each of their eyebrows, with whiskers on their jaw line and front legs but they’re less visible. At the root of these hairs there’s a follicle loaded with nerves. Cats also use their whiskers to feel their way around tight spaces and visually measure distances and feel vibrations in the air when chasing prey. Without their whiskers Cats would be disoriented and frightened, highlighting the importance of NOT cutting your Cat’s whiskers, as they use them as we would our fingertips. If you have cut their whiskers already, don’t worry! They grow back over time. Cats also aren’t the only ones with whiskers – most mammals have extrasensory receptors to help improve their sensing of environments at night. In addition to this, Cat’s Whiskers also change depending on their mood – this allows others to gauge what mood a Cat is in. 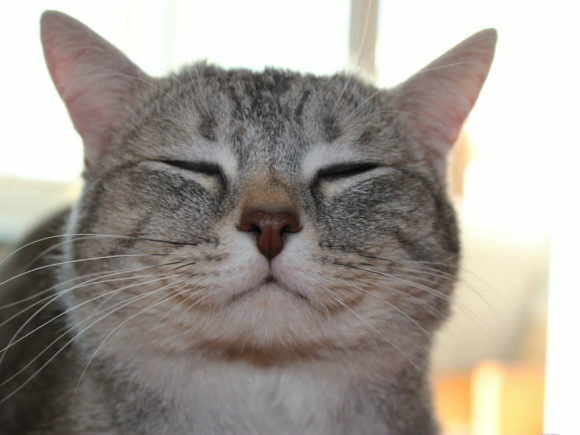 When the whiskers are still and sticking straight out of the head it means the cat is relaxed. 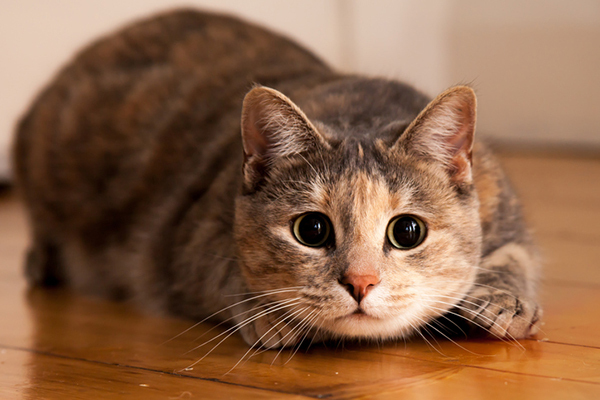 When they’re pressed slightly forward it means the cat is either curious or on the hunt. If a cat is nervous or upset they’ll pin their whiskers back towards their face – this highlights the importance of whiskers for cats. Tear staining, also known as epiphora, is caused from an excessive tear production in dogs and cats and is normally just minor. 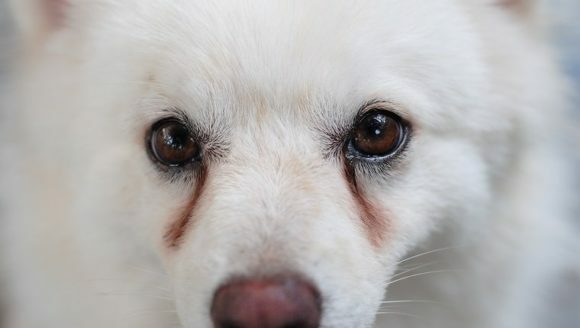 Excessive tear production results in a red/brown streak under their eyes and is much more obvious in lighter-furred animals over their darker counterparts. Whilst it is unlikely that your pet might have one of these health complications, its recommended that you consult a vet to rule out any of these possible causes. The breakdown of red blood cells create a waste product called porphyrins. Whilst in most animals – and humans – these are removed in faeces, but in cats and dogs they are removed through urine, saliva and tears. When the porphyrins are on fur for a period of time staining will occur and will darken once exposed to sunlight. 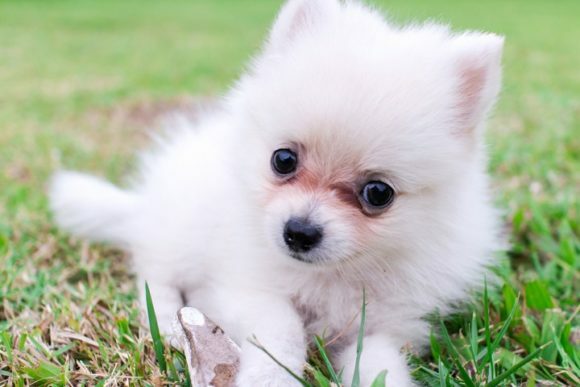 In chronic cases, the stains will go brown indicating that your pet has developed a yeast infection from having constantly damp skin – highlighting the importance of going to the vet once tear staining has been noticed. This is because the constant damp skin causes skin irritation which is an ideal breeding ground for bacteria and yeasts infections. Wet tail is quite literally when a rabbit, or any other animal, has a wet tail or bottom. You should always seek veternary advice when a rabbit’s backside starts getting a foul odour, looks dirty or wet, as wet tail is a very serious condition. This is caused by a rabbit’s urine going down either one or both hind legs instead of being expelled backwards, clean of the tail. Over a couple of days this will become stressful and very painful to the rabbit as the urine will start hitting red and sore skin, making it incredibly painful for the rabbit to urinate, highlighting how important it is to keep an eye out for any symptoms of Wet Tail before it gets to this stage. 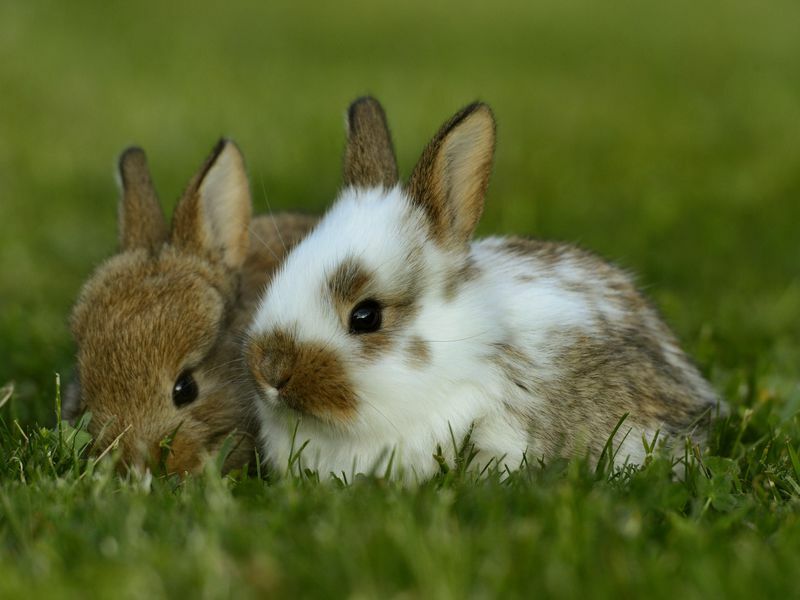 There’s a range of causes for Wet Tail – such as arthritis and general injury causing the rabbit to be unable to urinate properly, but can be treated with a series of medication. However, mechanical injury has little that can be done to help solve the problem and are often put to sleep if the Vet believes the injury is inoperable. Just like Humans, there’s many different diseases that can affect fish. Some of the most common problems and diseases in fish are swimbladder, white spot, finrot and internal bacteria infections. 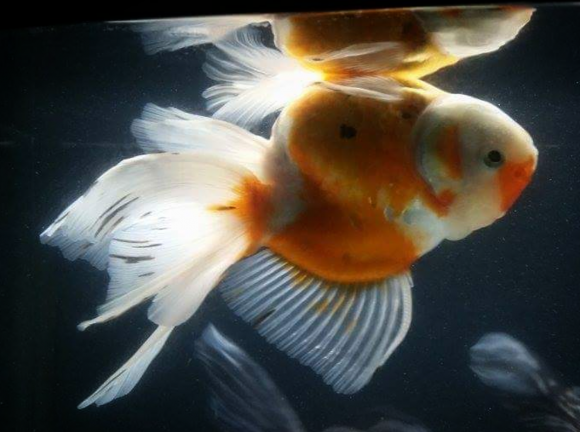 A goldfish with swimbladder disease will be found upside down, struggling to dive, or swimming on its side, and will otherwise appear healthy. 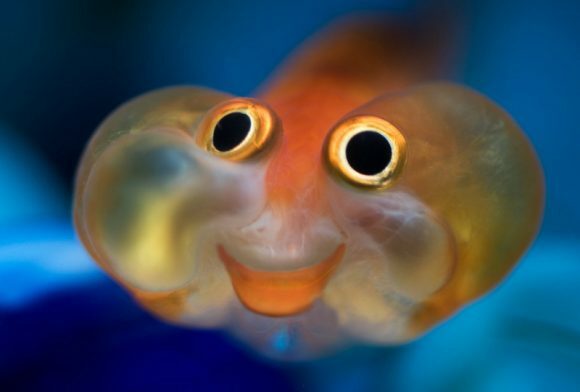 The swimbladder controls the buoyancy of the goldfish and is often interferred with by food. Some food – such as floating flakes or pellets – causes the fish to take in air as they consume it due to them having to break the surface to get it. This in turn causes air bubbles within the fish, causing them to float and struggle to right themselves. There’s various solutions for this problem. There’s swimbladder treatment that when added to the water kills bacteria that cause swimbladder, another solution involves not feeding the fish for 24 hours. The latter solution only works until you next feed the fish, unless the foods changed to a sinking variety. Protozoa is a single-celled microorganism that causes white spot disease in fish. It does this by attacking and attaching itself to the body, fins and gills of a fish and causes breathing, mobility problems and death. Highly contagious, once one fish gets it the rest will also quickly get it and if left untreated will cause death. Besides the white spots, the disease can also be seen from behaviour changes such as fins being folded against the body, scratching against rocks and ornaments and disorderly swimming. Treatments for white spot disease in fish vary depending on the symptoms shown. When goldfish start swimming to the surface more often it could be caused by the pH level not being maintained, this can be treated using antibiotic anti-parasitic medicine specific to anerobes. 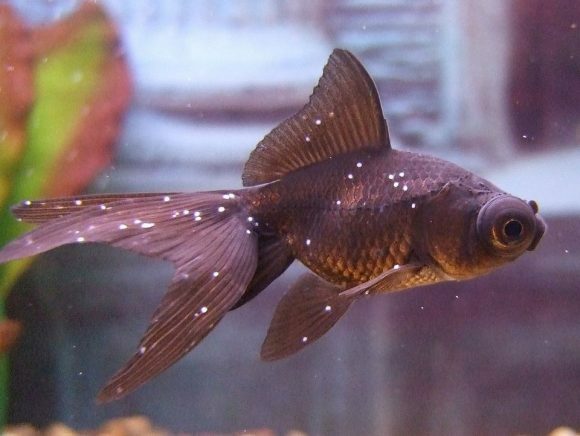 Disoriented swimming can also be a sign of white spot disease in fish and a prevention for it is to boil new ornaments and stones before putting them in the tank, or equally using ornament-specific cleaner for the tank. The most common symptom of white spots on the fins and body can be treated by using an anti-white spot solution that gets added to the water. Another way of preventing it is by quarantining new fish for a couple weeks before added them to the main body of water with the other fish. Protruding eyes can be prevented by replacing water with water of the same temperature, or by raising the tank water temperature just a little. Internal bacteria infections in fish can affect many organs of fish and is normally caused by poor nutrition, sudden temperature changes, injury, seasonal changes or sanitation which can make fish more susceptible to infections. Red ulcers that cover the fish is a recognisable feature of the infection. In severe cases it can prove fatal. Treatments depend on the type of bacteria the fish have and a vet can determine the type and best treatment for the bacteria in the fish. An alternative is to add a bacteria control agent to the water to help relieve any infections such as King British Aquarium Bacteria Control. Finrot is a serious and deadly disease that’s normally caused by harmful bacteria in the water. It starts to occur when there’s a wound that causes the flesh to be exposed to bacteria present under certain conditions. Finrot is likely to occur in unclean tanks due to them being higher in inorganic substances such as ammonia. Its also possible to get finrot if the fish is stressed, overcrowded by other fish or plants. 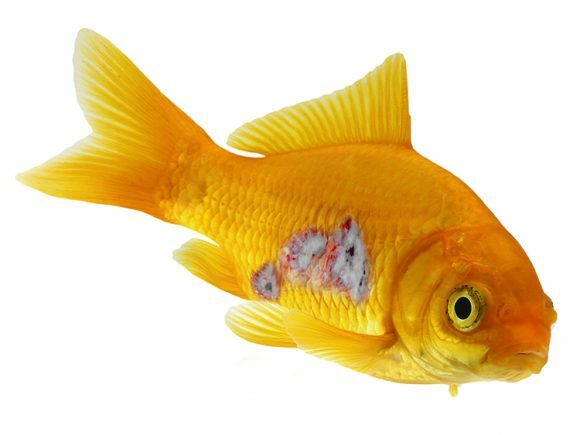 Finrot is a progressive disease so some symptoms are more noticeable at the beginning/end of the disease compared to other symptoms. At first milky white patches will start developing on the fins and tail of the fish, progressing to a ragged or tattered look. The fins and tails will then begin to darken and will literally look like they’re rotting away, eventually leaving just the fin rays exposed and will start working up the body of the fish, also causing secondary infections. Once the symptoms have been observed, an anti fungus and finrot can be added to the water to counteract any bacteria, treating any fish and preventing the disease from spreading.